When you bring your vehicle in for Express Service, you can be certain your INFINITI is in good hands. Our technicians will ensure your INFINITI performs at the level you expect and make it more convenient than ever for you. Because we know your INFINITI is as precious as your time. 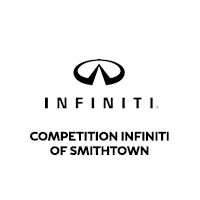 Each INFINITI Express Service will be completed in one hour or less and includes a complimentary multi-point inspection and car wash. Visit our INFINITI dealership in Smithtown, NY for Express Service!